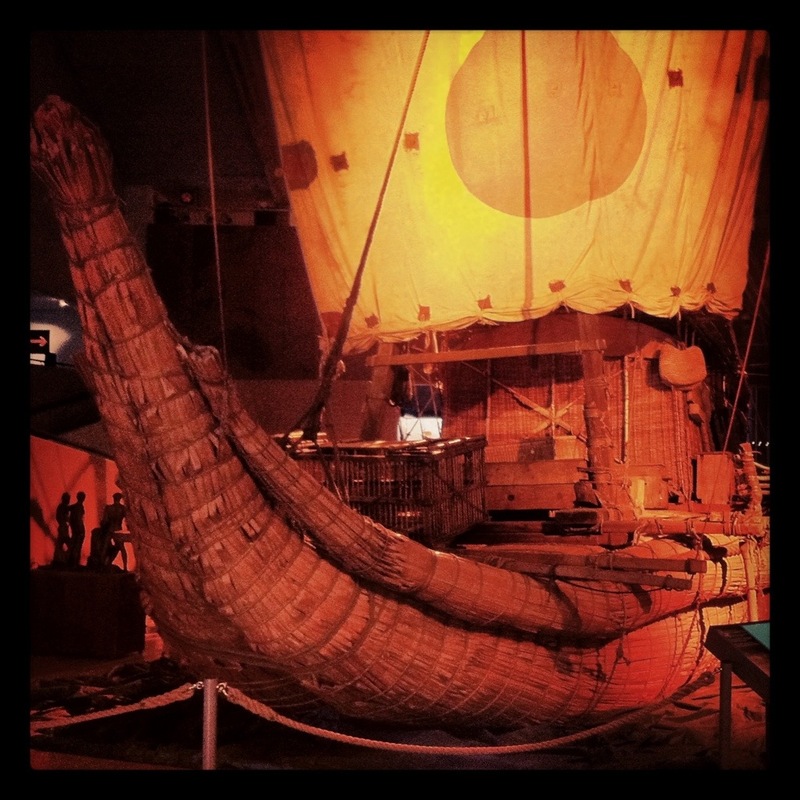 One courageous, crazy man, his crew, a balsa raft named Kon-Tiki, and 8,000 km across the Pacific Ocean. You’d think that was enough but Thor Heyerdahl had to prove something else, too. So he built another raft, this time out of reed, and sailed across the Atlantic – almost. The Ra I sank right off Barbados. Many would have smoothened it out saying they made it, but not Heyerdahl. He went back, built the Ra II, and this time reached the Caribbean shore. I stared a long while at the countless ropes and knots that leave the logs and reed ample room to flex but not enough to make the raft disintegrate. It is mindboggling that the Kon-Tiki and the Ra were not built by skill inherited through generations, but by legends, Conquistador drawings of Inca rafts, and Egyptian hieroglyphs. And yet they sailed, further than anyone could imagine. For Heyerdahl there were no limits, just tools and hard work required to reach the goal, no matter how impossibly far it lies. So why do we waste our time in making limits come to life, when we could use it to reach our goals? Categories: Travel | Tags: Scandinavia, sights | Permalink.